CARDEN LORD MAYOR OF LONDON. Most readers will be aware that Sir Robert Walter Carden was created a baronet in 1887, having been Lord Mayor of London in 1857/8. Over the past 40 years I had had almost no contact with his descendants, though I had accumulated a good deal of information about this branch, the Cardens of Molesey.
. 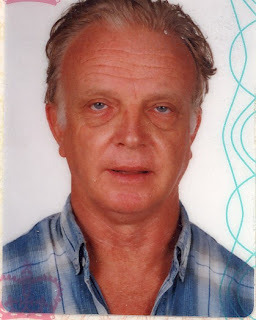 I was delighted to receive an email in February 2009 from the current baronet (who does not use the title) Christopher Robert Carden, born 1946, who lives in Bolivia and is a tropical forest consultant. His photograph, taken from Genes Reunited, appears alongside.
. Chris is now working intensively on a history of his branch. No 'paper' connection has yet been found with any other branch, a "blank wall" having been reached regarding the parents of Sir Robert's father, but analysis of a DNA sample submitted by Chris and other discoveries suggest a connection with the Matlock branch and with the original family in Cheshire. PROOF THAT THE TIPPERARY CARDENS CAME FROM CHESHIRE. Though some early documents claimed that the first Cardens to arrive in Tipperary came from Cheshire, there was no firm evidence. It was hoped that DNA results would prove the matter, by showing a match with descendants of Cheshire Cardens. Unfortunately results for myself and two other Barnane Cardens are unique and implied that our ancestor, John born 1699, was not the biological son of Jonathan, the first Barnane Carden, though he made him his heir. Results for the only other two Tipperary Cardens to submit samples were inconclusive. In February, however, results for Peter O'Neil Carden of Australia were received, which exactly match (at all 37 loci examined) those descended from Cheshire Cardens. Wonderful! CARDEN DNA PROJECT. Eddie Carden, a geneticist from North Carolina USA, and his father also called Eddie both of whom were at our recent Carden Gathering, have agreed to join me as joint administrators of the project. This will ensure it continues after my demise and will soon, I hope, lead to a more efficient operation. Several new results are in the pipeline, like the one above. CARDENS OF MONMOUTH. I was recently contacted "out of the blue" by Steve Carden of this branch, and we can now trace its earliest member as William Carden born 1823, whose son Thomas was born in 1848 only a mile or two from Carden Hall in Cheshire.